True to the episode’s title, we have a full-on “make-up exam” for Tokaku as she squares off once again against Isuke. Knowing from their first encounter that Tokaku doesn’t want to kill her, Isuke is able to put her on the ropes. I find this episode exciting because of the way its put together. We finally get to see what it’s like when Haru and Tokaku are separated from each other and facing off against different opponents, no less. The match-ups are pretty fitting too, with Tokaku fighting the more capable Isuke (who is probably the most skilled fighter in Class Black) and Haru going against the more clumsy Shinya. 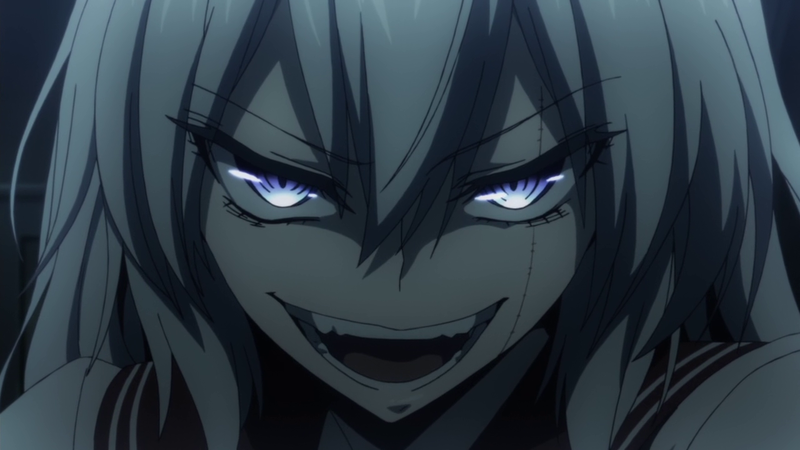 Seriously, Shinya is nuts and that’s a lot of what makes her such a fun character. It’s a huge contrast from her shy, yet almost equally crazy alter-ego Mahiru, and just watching her maniacally swing around her sledgehammer around is incredibly funny. Through some very brief flashbacks (no pun intended), we learn that Mahiru suffers from photophobia due to being abused as a child. I don’t really know the details, but all we really know for sure is that she lived in conditions where she was always dirty and photographed against her will. Because of this, her mind created Shinya who only appears at night. This also explains why she likes taking baths and being clean so much. In fact, we could extend this to a lot of the other characters too. I mentioned in the first episode impression that the act of showering in this series appeared to be a way for characters to sort of wash away unwanted things symbolically. The excessive amount of shower/bath scenes can’t just all be for fan service, right? I’m not 100% sure, but I’m fairly certain that each character is shown in the bath or shower at least once, hinting that they all have secrets and reasons for what they’re doing. The way Shinya is defeated is brilliantly done, in my opinion (even if Isuke’s the one who does it). With a blast of light from a projector, her trauma hits her all at once and Shinya reduced to a crying Mahiru which actually makes me feel really bad. 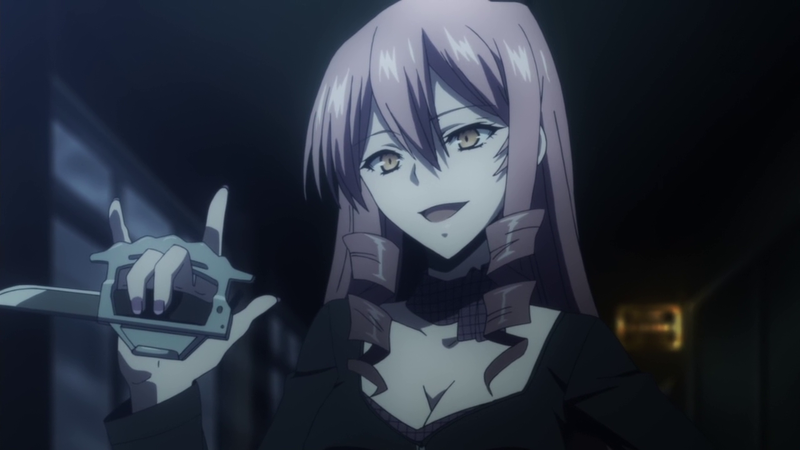 In the end, Tokaku learns that the reason she couldn’t kill anyone was because her aunt didn’t want her leading the same assassin life that plagued her and her sister (Tokaku’s mom, who by the way is also pretty hot). Despite her new found power, she spares Isuke’s life and just ties her up, leaving her in the hallway. Now all that’s left is a nice tea party with Sumireko. 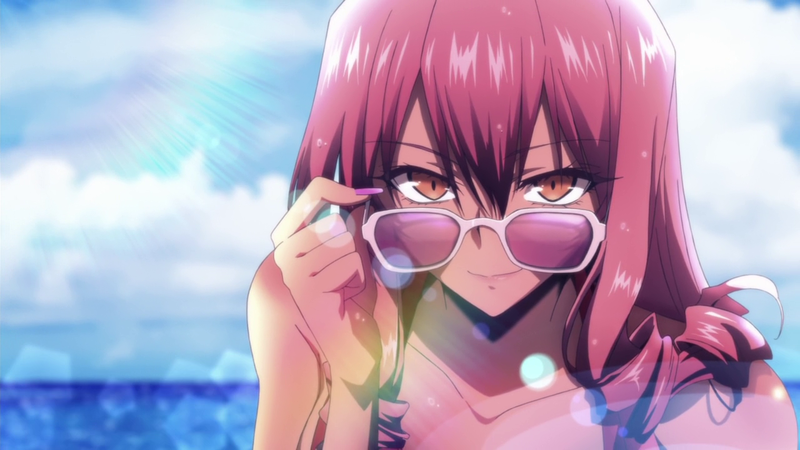 ← Poll – Favorite Female Anime Character of Spring 2014?